Nasal polyps are a common occurrence, particularly in adults. Nasal polyps are noncancerous and, depending on size, may come with no symptoms at all. Treatment of nasal polyps ranges from medications to surgery. What are the Causes of Nasal Polyps? Because the cause is at this point unknown, and may vary from case to case, it is important to seek specialized medical attention for the most effective treatment. The goal in treatment is to reduce the size of, or completely eliminate, the polyps. 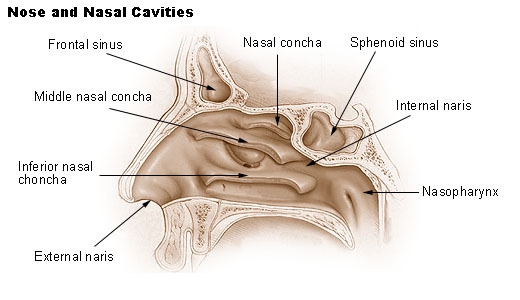 Even with treatment there is a chance that polyps will form in the nasal cavity once again. Treatment begins when you schedule an appointment with a medical professional. An ENT will begin with a nasal examination and may order a CT scan of your sinuses. Some polyps are treatable with medications, while others may require an endoscopic surgery. Though medications may alleviate symptoms associated with polyps, they very rarely get rid of the polyps. If you have fairly large or troublesome polyps, your doctor may decide that an endoscopic surgery is your best option. This type of surgery involves the use of an endoscope, a thin, lighted tube with instruments attached at the end, to remove the polyps. It is possible that even with surgery the polyps will return. Dr. John Austin has been providing superior service to the Austin area since 1995. Dr. Austin is board certified in Otolaryngology and was the first Austin ENT to be certified by the American Board of Facial Plastic and Reconstructive Surgery. Dr. Austin has extensive experience, impressive credentials and practices in three offices throughout the Austin area. To schedule an appointment today, contact one of our three office locations.